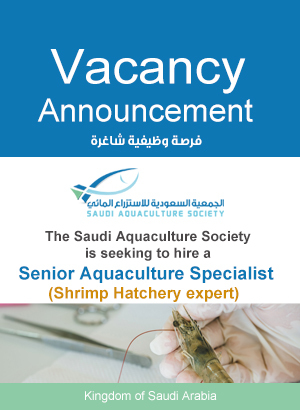 a) Participate in the preparations of the requirements and standards necessary to be applied to the aquaculture industry and its products. b) Study the rules, regulations and standards related to the aquaculture industry and recommend any amendments on them. c) Propose mechanisms for surveillance and inspection. d) Recommend granting licenses and permits, amend or withdraw them. e) Propose areas of research and studies related to aquaculture and its products and their marketing. f) Study the constraints facing the aquaculture industry and recommend whatever feasible to facilitate the industry affairs. g) Hold conferences, symposia and exhibitions on the aquaculture industry and participate in them both inside and outside the Kingdom. h) Represent members of SAS with the official bodies and Professional scientific and business institutions inside and Outside the Kingdom. i) Grant a logo stating that the facility is applying appropriate aquaculture production standards according to the international standards and norms. a) Provide technical advice in its field of competence and increase SAS resources to higher levels. 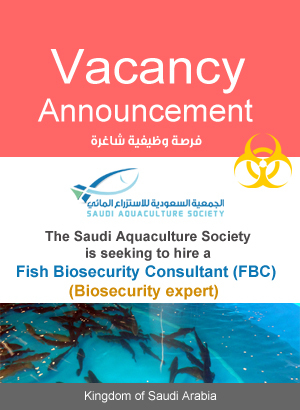 b) Work with the private and public sectors on the development of investments and pilot projects in the area of aquaculture. c) Strengthen relationships and incorporate the principle of shared benefits and the exchange of professional experiences among its members and relevant private companies, institutions, scientists and experts from home and abroad. d) Contribute to the provision of assistance to small and medium size enterprises and entrepreneurs in the area of aquaculture. e) Follow-up and evaluate new developments and requirements of practical application, and prepare appropriate amendments to improve the level of performance. d) Take advantage of using the website and various media in communication, awareness and education.